Get your next gathering on the road! 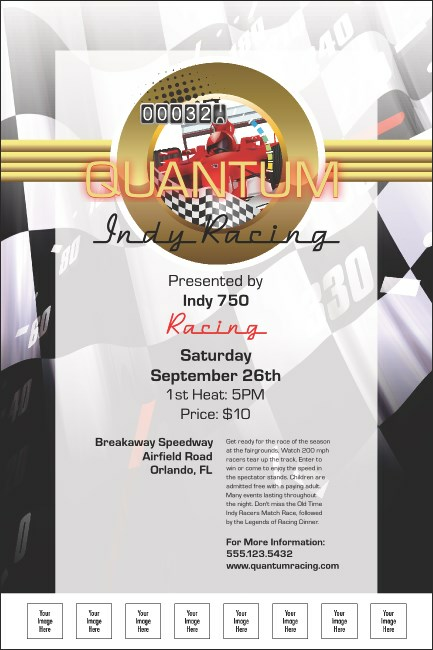 There’s no better way to grab the attention of your potential guests than the Indy Racing Poster! Highly customizable, this poster features space for eight images of your choosing. From sponsors to performers to special events, this poster has it covered! A poster is a great centerpiece, but don’t forget the other design options available at TicketPrinting.com!